ESP Prototype Bass wiring curiosity? Is this thing awesome or what? 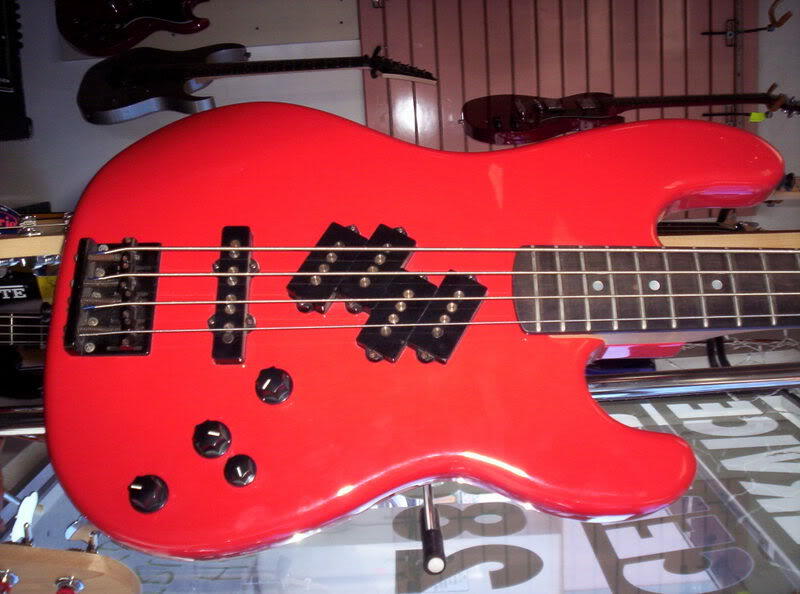 Here's the prototype of the bass Masayoshi Yamashita from Loudness played in the 80's. Anyone know how it's wired? I'm thinking of having a "Kahlerized" body built. Awesome? I don't know. Seems like something radical I would have tried a few years ago and had tons of magnetic field and buzzing problems ... would have picked up AM radio stations. I just don't understand how it would hum cancel. But here's how I would do it ... passive. Looks like the original wiring had the split humbucker to the front vol, the single coil to the middle vol, and the third is a master tone. Close to original ... whoever, drilled a hole for another vol for the second split humbucker. For this to possibly work, I would use a jazz configuration with the hots from each pickup going to the# 2 lug on each vol. Otherwise, the pickups will cut each others levels. 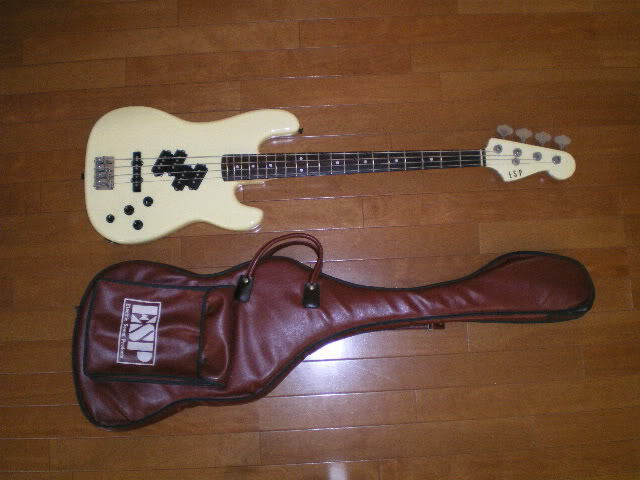 The white one was used by Masayoshi and I just can't find the pic of him using it on some stage somewhere. They are both owned by a friend over in the UK. i like the bridge on the black one. your not on TB, but those belong to cetera among the couple dozen spectors he has . 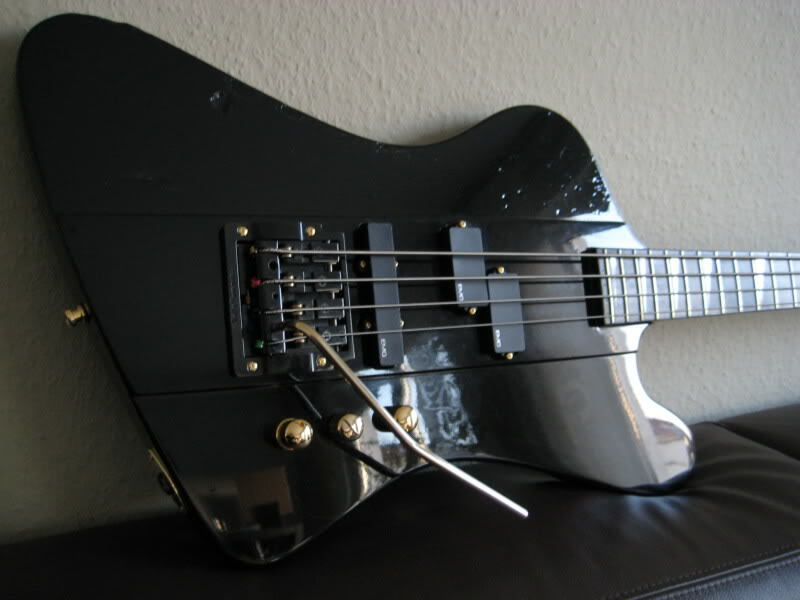 Do you know how the pickups are wired and/or the control setup? I can ask him it may be a day or 2 before he replies.... he may have never opened them up. it may be v/v/v/t ? Cool man, I'd appreciate it a lot..
That's what I think also. 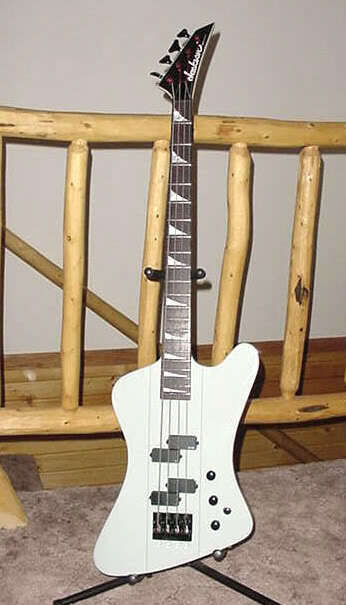 That means each of the P bass pickups handle 2 strings and a different Volume per pair. no weirder than T/T/V and a pickup switch like on my 700st's. and yes, he replied..I was right v-v-v-t.
Hello mate! 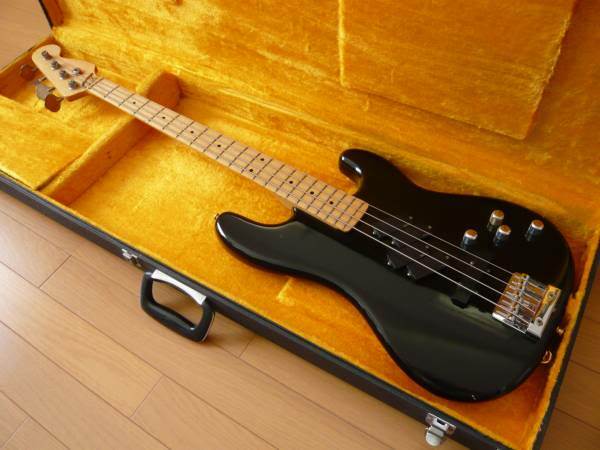 NICE bass/colour... how much is he getting it for? It's V/V/V with a small master tone. 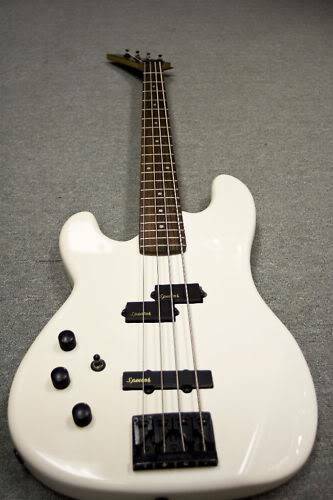 I'm not on Talkbass very often these days - too busy... but please let me know if any Jackson TBX (including yours) comes up for sale! if your wondering what he is talking about (TBX) ---- he has wanted this for 5 years now. BTW, The TBX is Awesome! second pic is when it was on ebay, first pic is after he changed it to gold hardware when he bought it. 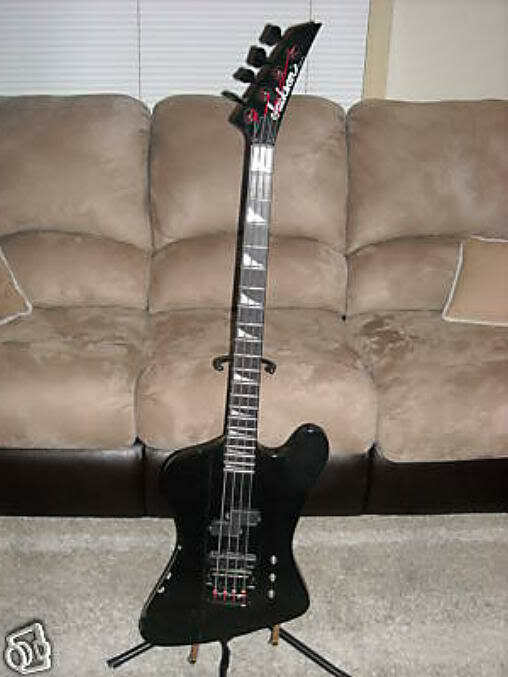 Man....there's something about those P pickups on the ESP that really grabs my attention! And Mike, I gotta admit as someone who isn't really a T-Bird guy, that Kahlerized one also grabs my attention! I realize it isn't yours, but it is still purty! you like double p-p's huh? what? 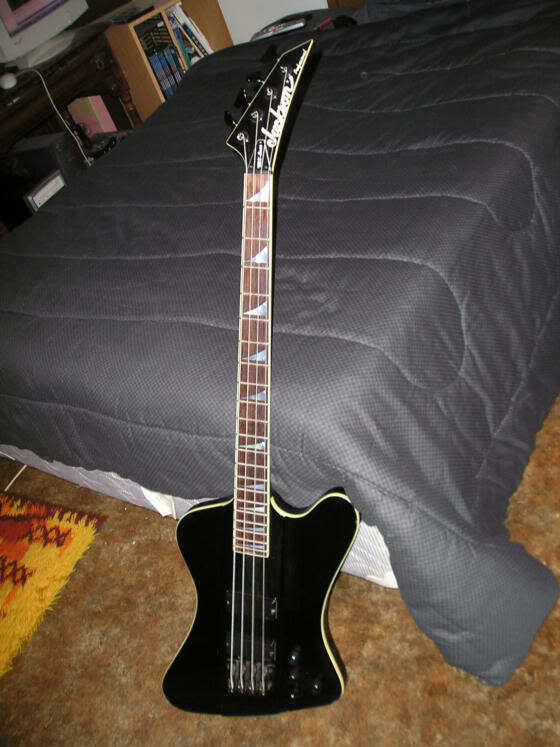 Subject: Re: ESP Prototype Bass wiring curiosity?